It really doesn’t pep me up. More than anything, a hot drink in the morning is comforting. I like the taste of coffee very much but I like the warm cup even more. I feel wasteful. I rarely get through a cup. In fact, I tend to drink the second half of my cup with ice in the afternoon or reheated in the microwave. I don’t get headaches or withdrawal symptoms when I don’t have it. The acidity does cause me digestive discomfort especially if I drink it on an empty stomach. I recently saw an ENT doctor for a hoarseness and cutting out coffee has improved my voice. I was pretty late to the coffee game. I’ve drank it intermittently for 6-7 years. I did switch to buying organic, fair trade coffee and cut out adding dairy, natural, and artificial sweeteners to my cup of joe about 3 years ago but I just don’t want to be dependent on anything. There are too many fluids in my morning routine! I prefer to have warm lemon water or dandelion root tea first thing and a smoothie in the mornings. Coffee being drink #3 was making me feel a liquid overload. The association with adrenal fatigue. I myself can’t debate between the benefits and risks of coffee. I’m often torn. But for now, I have to go with what feels good for my body and my stomach is sensitive to coffee. I will absolutely drink it from time to time but I don’t want to feel like I have to have it. I prefer to have it as a winter treat, with dessert, over meeting with a friend to catch up, etc. It is so much easier to have tea and I love the portability of the bags. I keep tea bags in my purse because you can get free hot water at any shop and they are useful during travel. 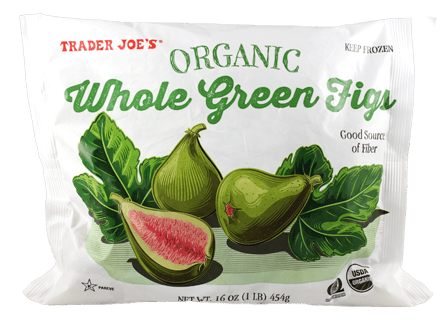 I LOVE these frozen green figs. That’s all. 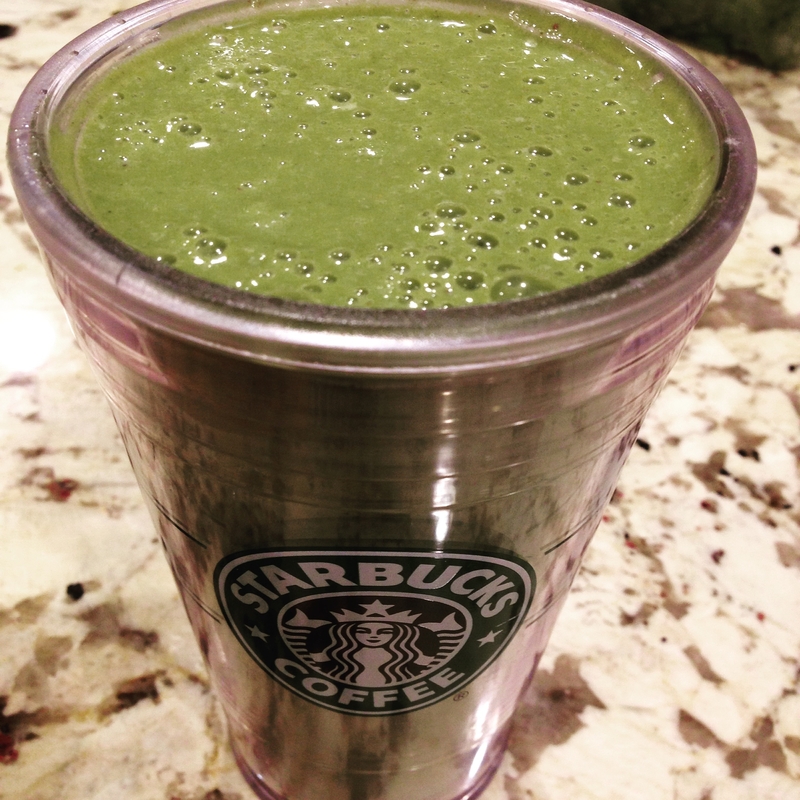 Last week, I decided not to have any coffee, just this smoothie, and workout. I was so awake afterwards and continued to feel energized through the day. What are your thoughts on coffee? Does it help you? Are there reasons you quit? 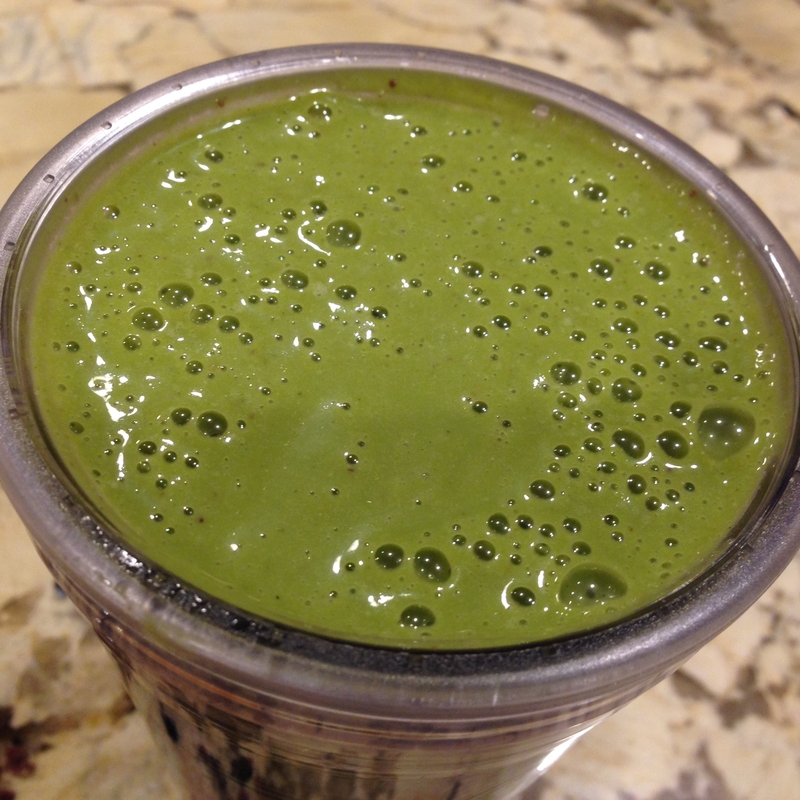 Here is another smoothie recipe using frozen figs!